The Washington Times published my review of The Vory: Russia’s Super Mafia. With Russia in the forefront of the news these days, one might be interested in reading a bit of Russian history. 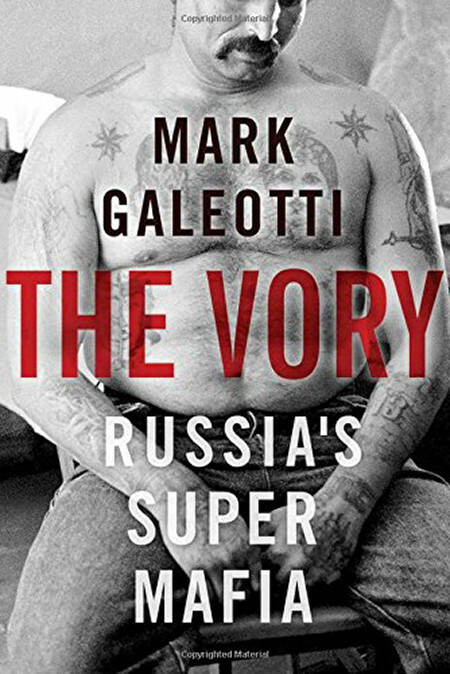 Mark Galeotti's “The Vory: Russia’s Super Mafia” offers a comprehensive history of organized crime in Russia. The book opens with a body washing ashore in Russia in 1974. The body had deep knife wounds, which indicated the cause of death. As there were no fingerprints, no clothing, and his face was bloated, there was no way to identify him. But he was identified in only two days, as his body was covered with tattoos. “The tattoos were the mark of a Vor, the Russian word for ‘thief,’ but a general term for a member of the Soviet underworld, the so-called ‘thieves’ world,’ or vorovkoi mir, and life in the gulag labor camp system,” Mr. Galeotti explains in the introduction. The tattoos were still recognizable on the body and an expert on reading them was summoned. The man, a former prison warden turned police investigator, decoded the tattoos in an hour. The leaping frog meant he spent time in the northern labor camps. The knife wrapped in chains meant the man had committed a violent assault behind bars. And so on. … Mr. Galeotti, a senior researcher at the Institute of International Relations in Prague and an expert on transnational crime and Russian security affairs, offers a look back at how the Russian criminal evolved from rural horse thieves to the modern international drug and woman-trafficking criminals. Over time the code of the vory would change with a new generation who saw opportunities in dealing with a “cynical and vicious” state on their own terms, taking a back seat to barons of the black market and the Communist bosses in the 1960s and 1970s. … The book covers the evolution of the vory from the gulag camps through the Stalin years, the Cold War and the Soviets’ Afghan War. After the fall of the Soviet Union, some Russian criminals moved to London and other European capitals, while others moved to New York and settled in the city’s Brighton Beach area. Mr. Galeotti informs us that in Russia the vory has penetrated the financial and political structures of the country and abroad the vory operates aggressively as part of the new transnational underworld. The Russian gangsters arm insurgents and other criminals, traffics drugs and people, and offers criminal services, such as money laundering and computer hacking.